Meizu again prepared its latest smartphone, M9 Note. It was reported earlier, it carries the concept of no physical buttons in the entire body of the Smartphone. 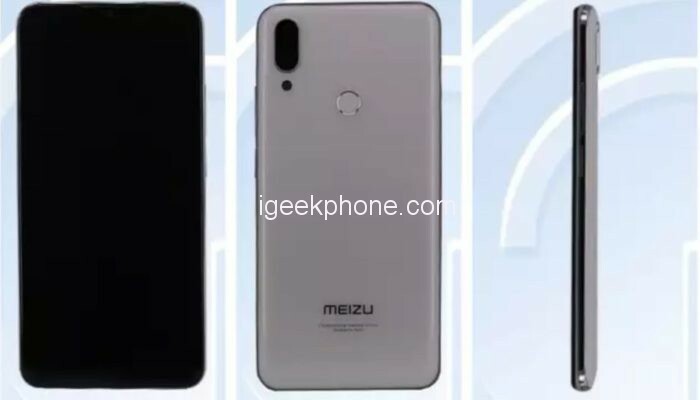 According to the official report, this afternoon, the network transmitted two pictures of suspected Meizu M9 Note. According to the images, the M9 Note runs on flyme operating system and the mBack operation bar. The front screen features a water-drop screen which is consistent with recently leaked Meizu M9 Note. 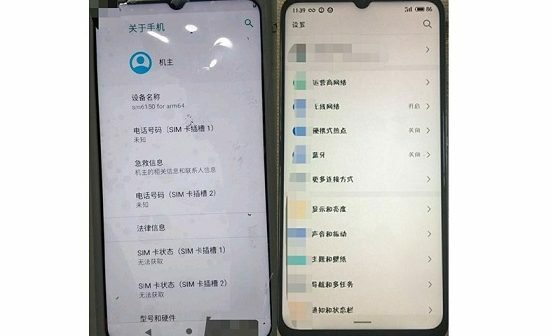 In addition, these leak images do not reveal more information. 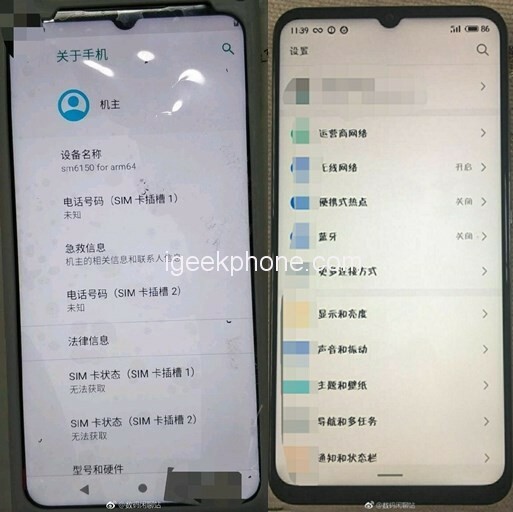 Not long ago, The Smartphone has been listed on TENAA with a model number of M923Q. 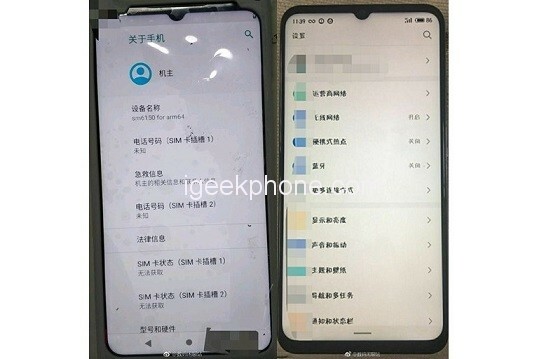 Seeing that the display has a waterdrop notch, it becomes clear that the smartphone will have a high screen-to-body ratio. Its rear panel shows a dual camera setup placed in a vertically aligned. A LED flash is also seen below the camera setup. Moreover, the rear panel also showcases a fingerprint sensor. For the specs, the smartphone will come with a 6.2-inch Full HD+ display with a screen resolution of 1080 x 2244 pixels. Under the hood, it will be fuelled by a Snapdragon 675 chipset with 6GB of RAM and 64GB internal storage which can be expanded with a microSD card. Coming to the camera system, the rear camera will be equipped with 48MP (Samsung ISOCELL GM1) + 5MP sensors. On the other hand, the front camera will feature a 20MP sensor for selfies and video calling. The smartphone will be further boosted by a 3900mAh battery and it will run on the latest Android 9.0 Pie operating system. During its launch, it will be made available in 3 color variants – Dark Ochre, Silver Ochre, and Starry Blue. As of now, the price of Meizu M9 Not has not been revealed by the company. We can expect the price of this smartphone to be revealed in the upcoming days.